Are you looking for the perfect gift for a little chef for the holiday season? The elves at Wrapped Up N U have found the perfect gift for you! EZPZ mixes are kits for little bakers who have outgrown the light bulb oven! The kit is fun and easy to use because it comes with everything you need to get cooking! Well, it doesn't have the water or the oven...but still! We were sent the Very Cherry Bindt Cake Kit-bundt cake pan, set of mixing bowls and baking tools and child's oven mitts. I know my daughter really liked all the baking tools that came along with the mix and informed me they were hers! I like the fact that they are made for smaller hands and are much easier for a child to use. They currently carry 15 different flavors! We know have our eyes on the cookies & cream and cotton candy! In addition to the bindt set we reviewed they also offer layered, cupcakes and brownies...they had my heart at the word brownies! They also offer a subscription box set...what kid wouldn't love to get this every month. 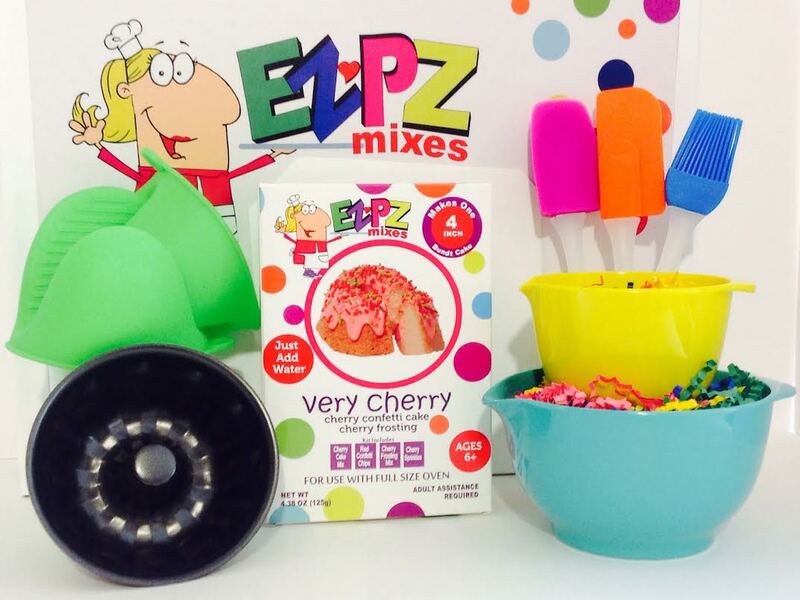 With EZPZ's Little Bakers Club, a child will receive a monthly subscription box with four different cake kits. You are able to choose from a 1-month, 3-month, and 6-month subscription. 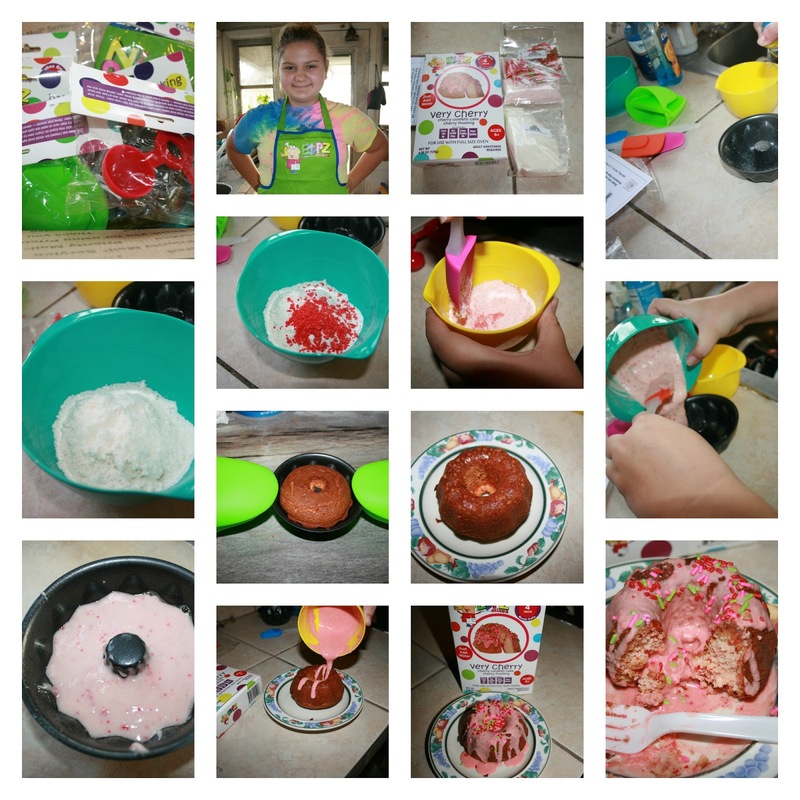 I believe these kits can really give a child a sense of accomplishment that they are able to start and make a tasty treat on their own with limited adult help. Elf children tested and APPROVED. Would your child enjoy this kit? Good news, EZPZ mixes would like to give 1 lucky fan the chance to win! GOOD LUCK!